*Validity of the Booster Packs are irrespective of Bill Cycle. Full speed based on default base pack type. I’m using HSDPA 3G modem and after a while it disconnect by itself. Please give me the solution ! would like to use my iphone 3G as a modem for my laptop but i don’t want to jailbreak it and i don’t want to do anything thats against my contract with at&t. Is this possible? iF i jailbreak it that doesnt void my contract with at&t does it? Is it dangerous if i mess up jailbreaking it? My mad network provider had gave me an unlimited data plan internet with the speed d=0.80MB and u=0.36MB! I cant even download a 1MB file within 10MINUTES! Please help me! The software you give must be a cracked or full or patched one pls!!! Please help.. I am unable to use idea netsetter sim with my Huawei UMG1831 3G USB Unlocked Modem..
All other networks do well.. 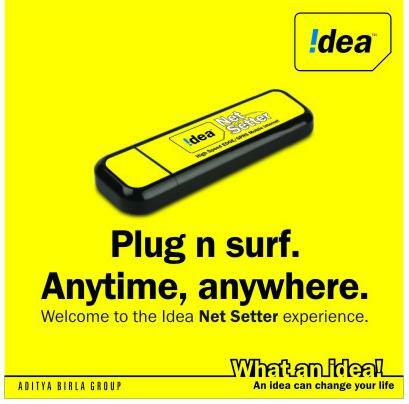 Problem is only with Netsetter Sim..
Do I require to purchase idea Netsetter USB Modem only to enjoy idea 3G? No , You dont need Netsetter USB Modem . 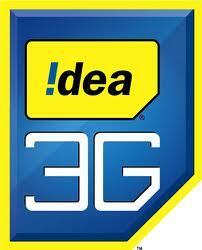 I personaly used Idea Netsetter sim on Unlocked Netsetter and also on TataDocomo 3g Stick and many other USB Modem .